2016 ACT UJ Arts and Culture Conference. Photograph by Jabulile Pearl Hlanze (33). Following the highly successful ACT | UJ Arts & Culture Conference recently held in Johannesburg, eight regional post-conference seminars will take place around the country between late April and early May 2016. These run-off seminars have been devised by sponsored conference delegates, who will share the knowledge they learnt in Johannesburg with their peers in their respective province’s art circles. 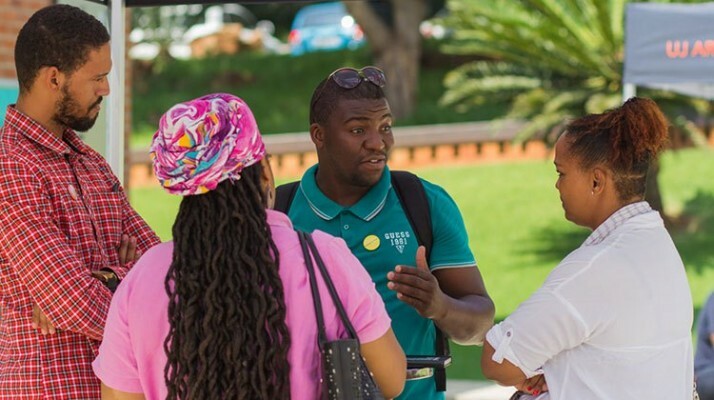 Out of the 453 applications for sponsored passes to the #creativeintersections-themed conference, 55 were backed by the Department of Arts & Culture through the Mzansi Golden Economy programme. Of these delegates, 32 were from outside of Gauteng, and are currently in the process of organising their regional seminars. 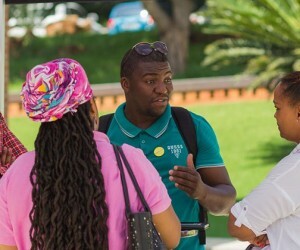 "ACT is grateful for the Department of Arts & Culture's support through the Mzansi Golden Economy programme, which ensures that the information, research, knowledge and free resources that came out of the #creativeintersections conference reach artists and practitioners across the country, who were unable to attend the conference," says ACT CEO Pieter Jacobs. Each provincial group consists of between two and four delegates, who have been tasked with brainstorming and collectively presenting an interpretation of the #creativeintersections conference in a way that is relevant and meaningful to their province’s needs. "This opportunity upholds the aims of the conference to share information, knowledge, and research with the view of enabling, advancing and inspiring the creative sector across all provincial boundaries," explains conference Project Manager Anastasia Pather. The seminars will take an assortment of forms; community-based group discussions, panel discussions, brainstorming sessions, networking events, performances, and workshops. Many of these formats have been directly inspired by the proceedings of the Creative Conference. Ofentse Tapile, the group representative of the North West faction says their event will be a “mini replica of the #creativeintersections conference”. Tapile explains that, like the Creative Conference, their seminar will include keynote addresses, educational workshops, entertainment and the inclusion of arts administrations from the province. “The reason we invited arts organisations from around the area is for relevance purposes, as they also need to have representatives voicing their opinions, explaining who they are, and what they can do for the locals,” Tapile explains. In Limpopo a networking session will round off the seminar, which group member Kagiso Kekana says will include a panel discussion by key players in the province’s industry, talks on interdisciplinary, preservation of the arts and the building of partnerships. The BASA Hatchery Sessions are the inspiration behind Mpumalanga’s post-conference seminar. Group member Ayanda Nkosi says they hope to “unify and solidify the local arts sector in a way that is going to spread information, skills and ideas in a way that will benefit and empower the delegates to work together to formalise their talents as businesses”. Community-based discussions will form the premise of the Western Cape, Northern Cape, Eastern Cape and KwaZulu-Natal seminars. Each will pin-point local opportunities, highlight the artistic work being done in the area and encourage further collaboration based on the #creativeintersections theme. “We hope to address and highlight the many community-based projects that are active in the Eastern Cape in an attempt to uplift, upskill and empower our communities,” says Eastern Cape representative Anva Chiazzari. These sentiments are echoed across the manifestos from each province; using the tools and information they gathered at the ACT | UJ Arts & Culture Conference, they hope to galvanize their local creative communities and bring about action and empowerment through a variety of #creativeintersections. All regional seminars are open to any interested parties, including new creative mediums outside the traditional arts and culture disciplines. Entrance is free. For details on each event, including times and venues, please visit the conference website and fill out the Google Form here. The 2016 ACT | UJ Arts & Culture Conference, which took place at the UJ Arts Centre at the University of Johannesburg on 16 and 17 March 2016, was presented by ACT and UJ Arts & Culture, in partnership with the Department of Arts and Culture’s Mzansi Golden Economy Programme, Business and Arts South Africa (BASA) and SAMRO Foundation with support from the NAC, Nedbank Arts Affinity, and Creative Feel Magazine.